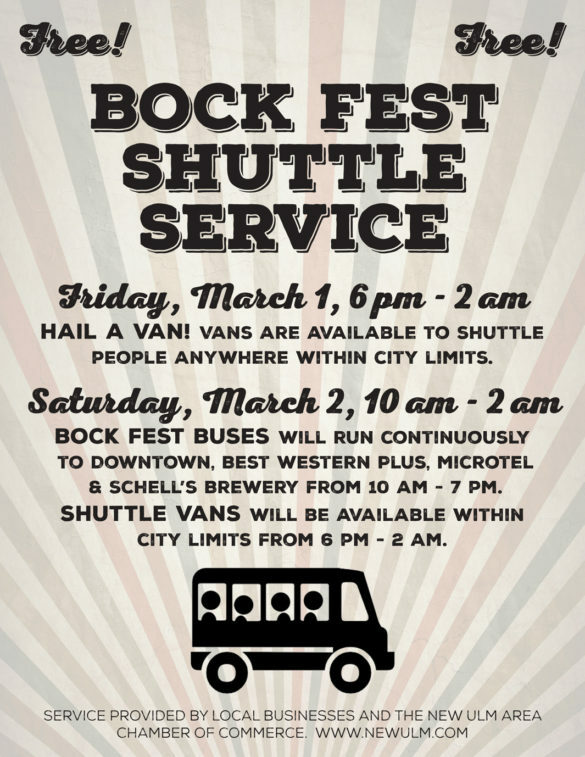 Be safe and ride the Free Bock Fest Shuttle Services. Free rides will be available both Friday and Saturday. There are also taxi and Lyft services available in New Ulm. 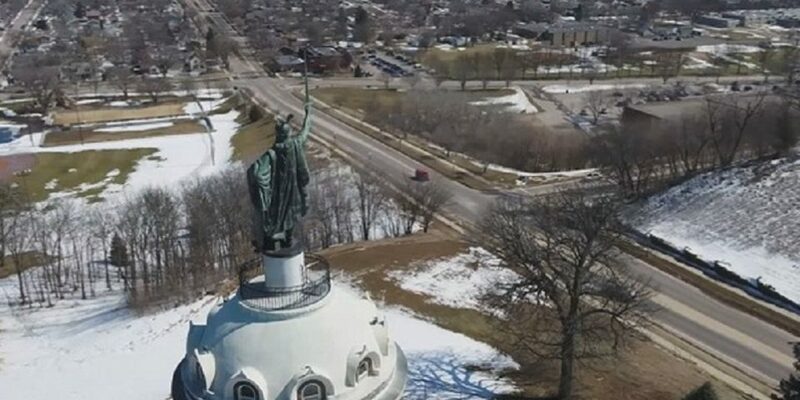 Explore all of the fun happening around town, and don’t drink and drive! Come a day (or two) early! Catch a ride and take in other happenings around town! There is a lot of options during the Fasching/Bock Fest weekend! The downtown is always hopping before and after Bock Fest, with live music at several downtown venues. Friday Pre-Bock Fest parties include The Johnny Holm Band at the Event Center, a Promo Party at Green Mill, and more. Saturday Post-Bock Fest activities include IV Play at the heated tent outside Green Mill, and much more! View the Event Calendar online for more entertainment options! Coming to Bock Fest and can’t find a hotel room in New Ulm? Catch the MN Beer Bus from Mankato, Maple Plain, or Plymouth! 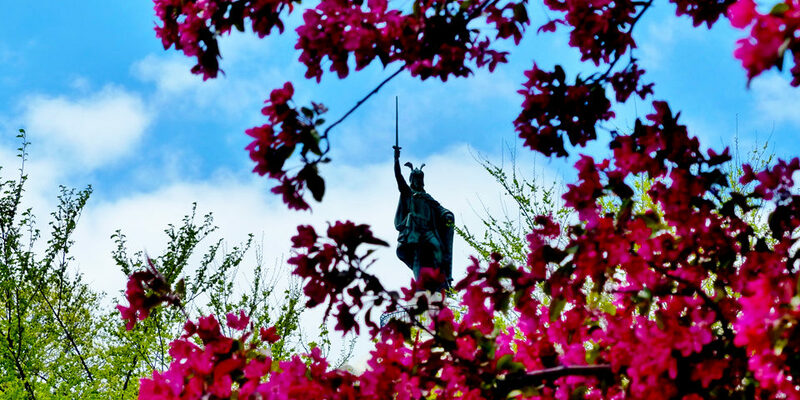 Want to learn more about Bock Fest and Fasching? Click here for another blog post about this weekend.